Since the impeachment of Brazilian President Dilma Rousseff in 2016, political polarization has kept the country divided and in perpetual conflict. On the one hand, there are those who regard the impeachment as an undemocratic coup to conceal third-party interests. On the other are those who support the impeachment, claiming to be fed up with the corruption that occurred during the term of Dilma and his predecessor, Lula da Silva. Two examples of such controversies are the “Mensalao” and “Petrolao” scandals. Data retrieved from the newspaper Folha de S.Paulo about these scandals reveals that the value of bribes passed between members of parliament, party, and cabinet officials totalled up to R$193 million (BRL). This year, the Brazilian voter must still choose between questionable political figures. 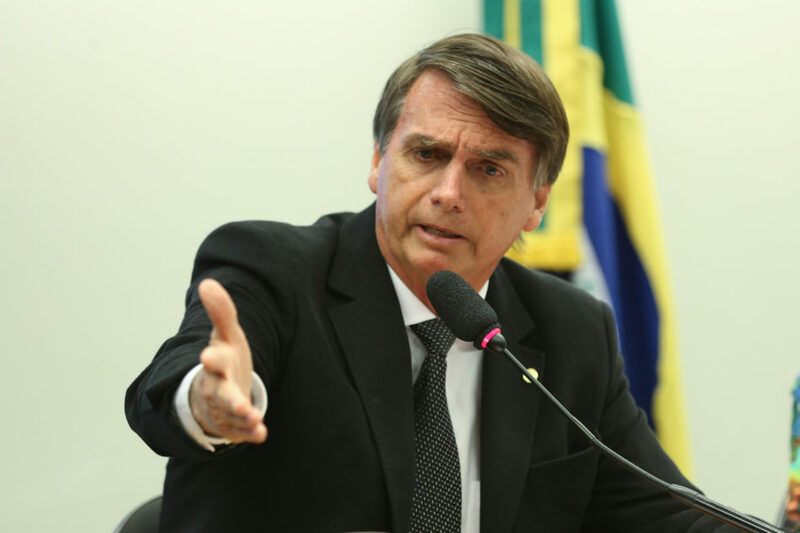 One of the two main leaders in recent polls are Jair Messias Bolsonaro, a retired army captain famous for his controversial statements which are made, he says, as a means of reinstating order in the nation. The other is a former president of the republic, Luiz Inácio Lula da Silva, who was arrested and found guilty of corruption and money laundering charges against him last year, but was still nominated for the presidency by his party. In the midst of all this, Brazil increased its “country risk”—a term used for countries where there is intense state regulation and a lack of infrastructure. Doing so keeps foreign investments out of the country, raising the exchange rate and devaluing the national currency, which leads to financial struggles for Brazilians living both at home and abroad. As the national economy suffers, emigration to developed countries has proved to be an increasingly expensive option, but one that’s still feasible for young Brazilians who long for a life with stability, security, and opportunity. Mainly, it is an option for those who aim to escape from the political chaos in their country. According to CBIE data, Canada received almost half a million international students in 2017 alone, and Brazil is continuing to send more and more international students here every year. For a young immigrant to acquire their study permit in Canada, they must maintain full-time student status until they graduate, but many struggle to afford their education. At KPU, the per-credit cost for international students will be $658.03 as of Sept. 1, due to a recent vote to raise international tuition at the university by 15 per cent. Currently $1 CAD is worth R$2.88 BRL, meaning that the exchange rate alone has Brazilian students paying almost three times as much as domestic students. On top of that are living expenses like accommodation and grocery shopping. The Brazilians who are attending universities in Canada seek, above all, to create a better future for themselves. At the same time, they feel the effects of the political crisis both financially and personally. When in need, they have to resort to asking their family back home for assistance. Brazilians living at home and in Canada will have to remain determined to overcome these obstacles, regardless of what the October elections may bring.